The Most Power and Best Performance Intercooled ProCharger systems deliver the ultimate performance and power increase for towing, daily driving and sport turck applications. Compared to all bolt-on aftermarket superchargers, ATIs superior technology delivers more low-end torque and substantially more total power than any other supercharger system. In the lower rpm towing range, Intercooled ProCharger systems will deliver more rear-wheel torque because the intercooled charger air is extremely dense (virtually at ambient temperature), the engine is running full timing, and the P-1SC consumes far less power than positive displacement superchargers. At mid-range and higher rpm, in addition to making more power per pound of boost (due to the same combination of greter air density, full timing and less parasitic load), an Intercooled ProCharger system is also able to safely produce more total boost, thanks to the coolest charge air and exhaust gas temperatures in the industry. The net effect is a substantially larger increase in power. History and physics show that applications without intercooling must run unsafe boost levels or octane-boosted fuel to perform even close to an Intercooled ProCharger system. The High Output Intercooled ProCharger System for 07-08 GM "New Generation" trucks produces a 50-55% power gain on stock engines running pump gas with just 7-8 psi of intercooled boost. 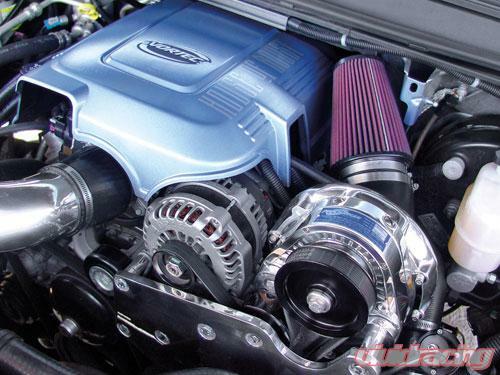 High Output Intercooled Tuner Kits and higher boost levels are available for modified engines. 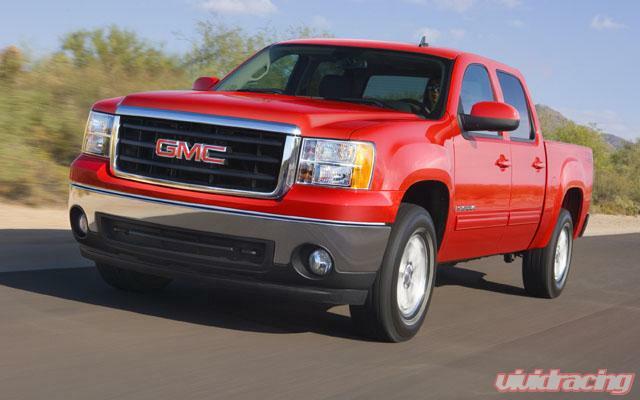 Industry-exclusive features of the 07-08 GM truck kits include the proven and patented, self-contained ProCharger P-1SC-1 supercharger, and a front-mounted, 3-core air-to-air intercooler.